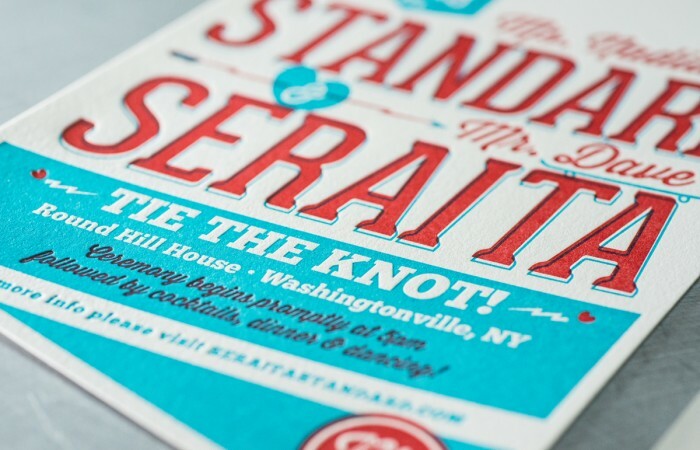 An in-house designed wedding suite featuring letterpress and foil on duplexed French Paper Co. stocks. 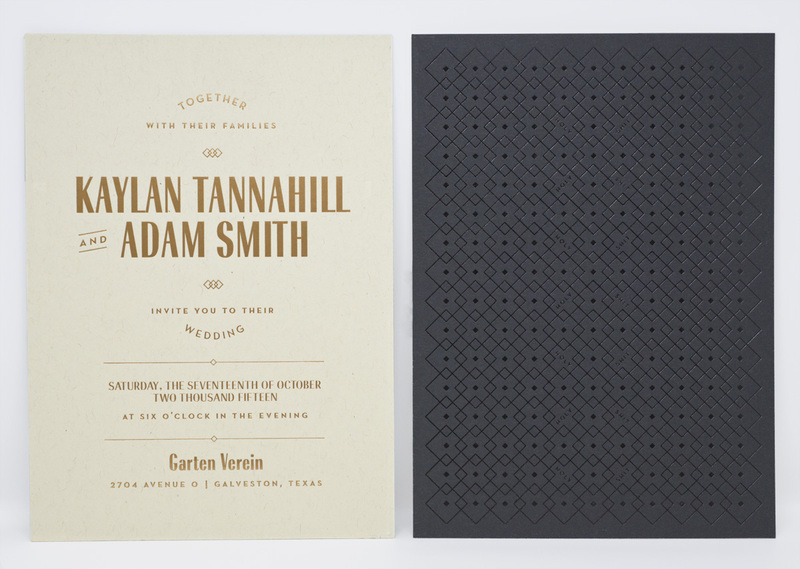 Invitation backs feature a black foil pattern on black stock for a low-profile look. 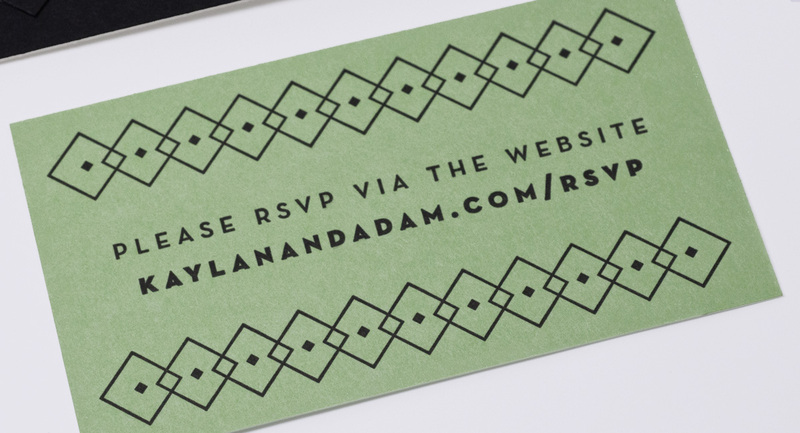 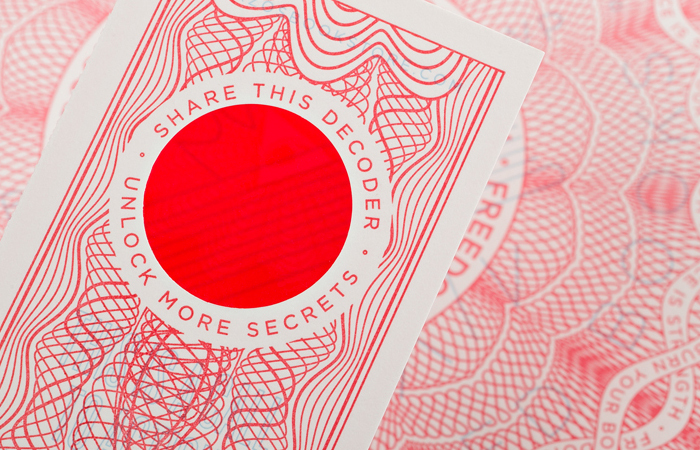 Also included are business card sized RSVPs on French Paper Co.’s Pop-Tone Limeade with custom napkins and matchbooks. 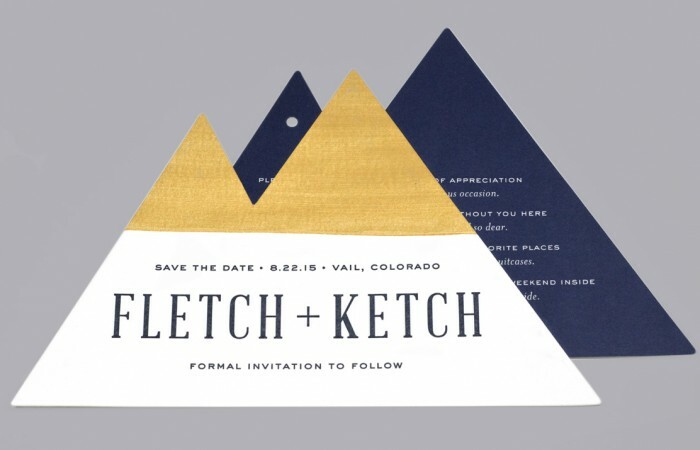 Front and back views of the wedding invitation. 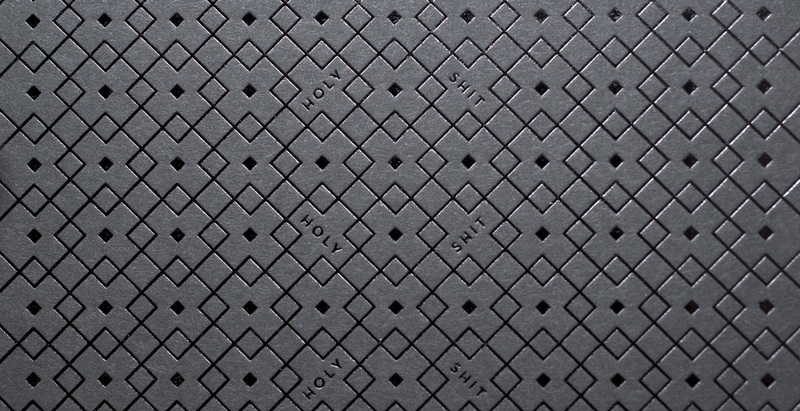 Detail shot of the pattern found on the back of the invitation. 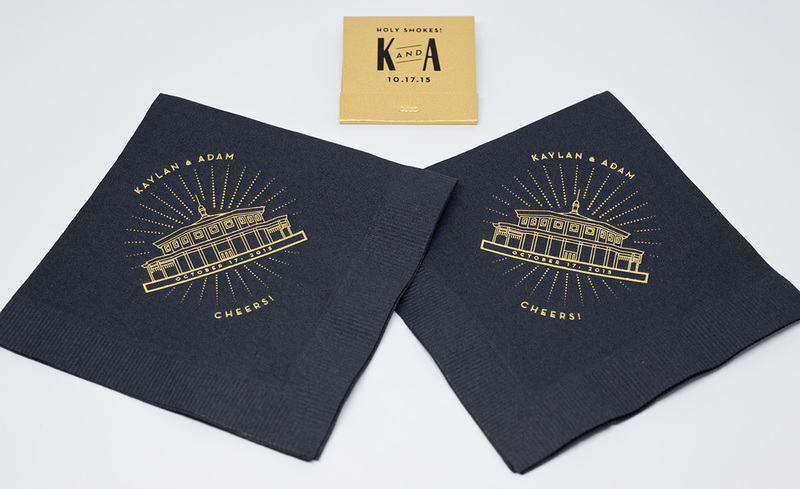 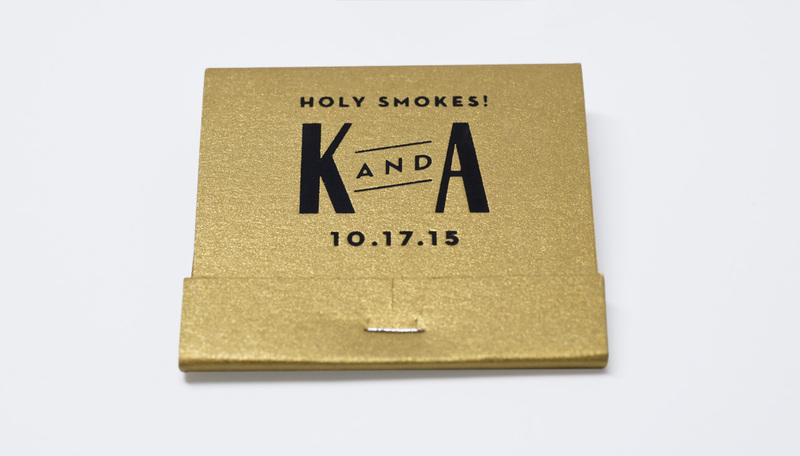 Custom matchbooks and foil-stamped napkins.